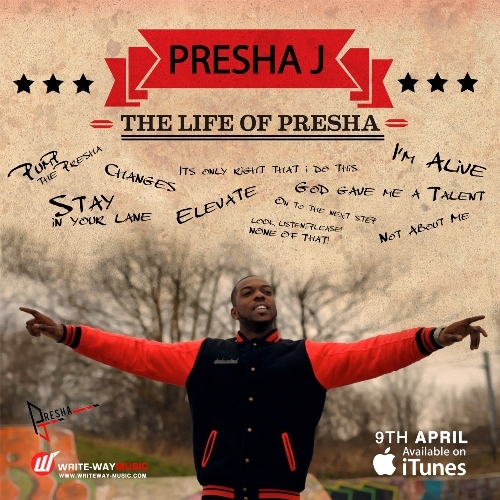 Writeway Music unleash the brand new single from Presha J next week and we managed to have a sneeky listen before its official release. This is Christian rap, but to us we didn’t really view it that way. Instead we looked behind this and just listened to the track with an open mind. This is an emcee who obviously talks positive but there is a bit more to this emcee than just ‘a good vibe’. He is a talented wordsmith that uses words well and has a flow that is tight with a whole sound that just hits the spot. 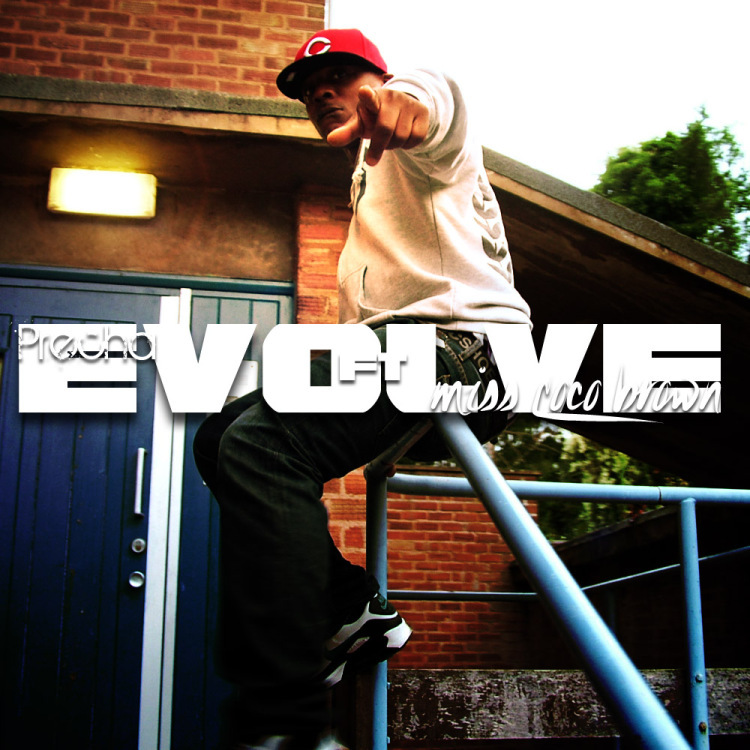 Make sure you be on the look out for this and check out the label that he is signed too ‘Writeway Music’ for more info. Precha from old skool UK Rap crew C.O.V (City Of Villains) has dropped the first single from his forthcoming EP and what a corker it is too. This utlises the current dubstep/grime sound and flips it on its head with a lashes of soul from vocalist Miss Coco Brown, but in all fairness its Precha who takes the prize for that unique flow and the fact he raps in his own accent. Its good to see Precha back and back with a boom becuase this is something really unique. 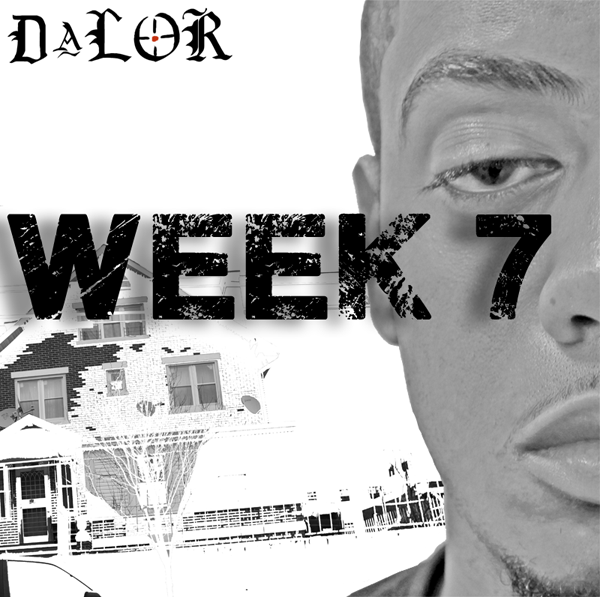 The video features cameos from Cipher MD7, Baby J and more and is something you need to check for. Really looking forward to hearing the forthcoming EP. I recently got to share a few emails with the one and only DaLor, I proceeded to ask him a few questions and he answered, in the “Biz” we call this an interview, enjoy! The production on your new album is extremely original, Which producers did you work with on the album? Thanks, I produced all of the beats on this project. Each song on Week 7 seems to draw from separate influences, was this a conscious choice? I wouldn’t say it was a conscious choice but I have a lot of different artists from different genres that I dig and I’m sure they influence my music subconsciously. I’m also a very opinionated person so I have a lot of different views and you can’t express each view the same way over the same type of soundscapes. I want the listener to feel what I’m saying and the vibe of a song is the first thing that is translated to the listener on the first listen before they learn the words so I usually keep that in mind while writing or making a beat. Which element do you feel is the most neglected in modern Hip Hop? When it comes to rhyme styles I say story telling…that has been put in the back seat for some reason. I guess that’s why I try to stay on subject so much when I make songs. I don’t go full on slick Rick but I try to stay with a theme n make sense. Culturally ? I say a lot of people refuse to let hip hop grow n mature. People wanna go back to this era or that era and classify certain forms as real hip hop or fake hip hop. I think we should allow the culture to grow n classify music as garbage, good or great. Do you feel there is a cognitive narrative in Hip Hops progression and where do you think it is heading? Right now hip hop is having a mid life crisis, this form of music is not as young as it was in the 80’s but it’s way younger than different genres in terms of music in general so right now I see a lot of artist trying to break free from the stereo typical hip hop sound n taking more risks. I also see HipHop becoming a more respected form of music rather than being that new fad it has been labeled as. I’m down with all that as long as we don’t lose that rebel edge that is the root of HipHop music. With the album finished do you have any projects you are currently working on? I have a fully completed projects worth of material In the chamber but I’m going to take my time promoting this one and that gives me space to record more and change the listing and the title around so yea I’m still working and I got a lot more coming. Which Hip Hop scene are you currently avidly following that you wish to draw attention to? I’m not too much of a scene cat- I enjoy all good music in any genre. So I just think good music should be heard all across the board. How can fans support you directly and what is the best way for them to give you feedback? Dlyrious hits us with some new bars. Be on the lookout for more videos and music very soon. Jaz Kahina once again proving she is one of, if not the best MCs when it comes to conscious content. Addressing a real issue with analytical thought and research, a fine example of Hip-Hop’s political ability to bring discussion to a public forum and challenge the preconceptions of it’s audience. Passalacqua team up with Doc Waffles in this song about receiving stares from strangers. Evoking a late 90s positive Hip Hop instrumental mixed with 3 unique MC styles and interesting lyrics, this is a song you’ll keep coming back to. Some amazing spoken word/Acapella poetry courtesy of your pals over at High Focus. Ed Scissortongue displays both intelligent dissection of a variety of subjects and the rhythmic poetry stylings only a master of ceremonies could deliver. High Focus are on to a winner here and if you want to show them you agree visit the youtube page and give the video a thumbs up and a comment. Can’t hype this MC enough, you’ll be hearing great things from Ed this year, I guarantee it!